We all know that the well dressed man is back but what exactly makes him “well dressed”- is he perennially in top hat and coat tails? Obviously not. Dressing well is about projecting your personal sense of style and good taste rather than lumping a collection of blazers, shirts and trousers and calling it a look- It’s about hundreds of little details, adding up to one debonair look. It’s a smart casual look where the check green and mauve jacket is the feature point. The check blazer and tan chino combination works because neither blue oxford shirt nor trousers are fighting for attention. Masterful matching colours make this look from Salvatore Piccolo’s SS2013 collection absolutely pop. Here’s a little background on the marquee, Salvatore Piccolo started out making the finest shirts and ties first. Here, he practiced true artisanal skills by paying attention the littlest details. For him, a shirt is a shirt, business or casual, it needs to be well made, but his creations are an exercise of genius in terms of fabric and cut. I won’t rehash anything that Barney’s New York already covered regarding the bespoke shirt maker– honestly, his hand-sewn buttonholes are to die for. 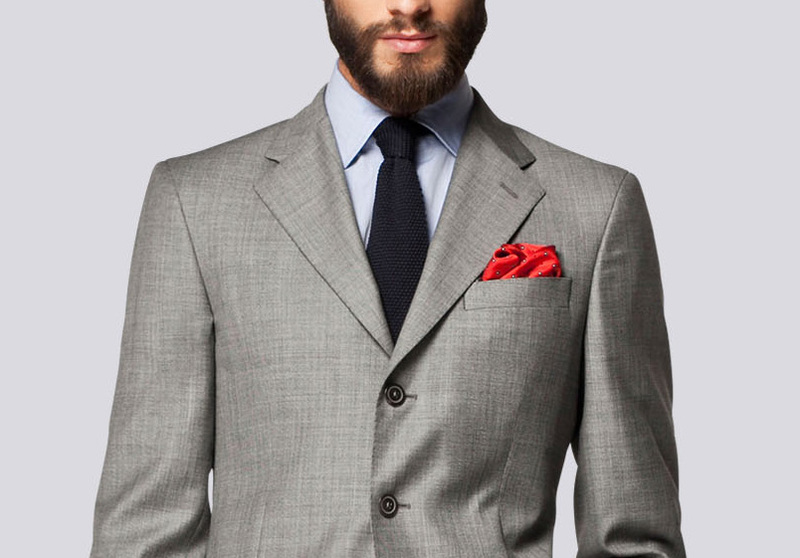 Salvatore Piccolo Napoli SS13- herringbone fabric and beautifully sewn lapel buttonhole. 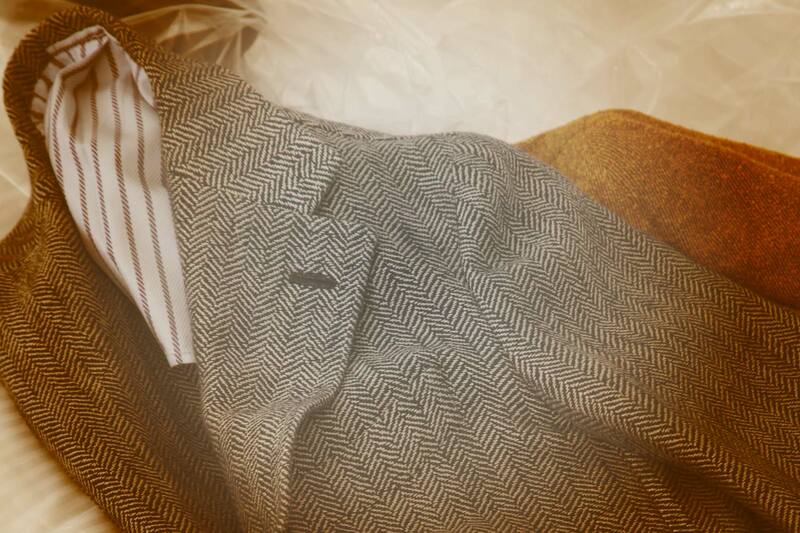 Speaking of details, around 70 percent of fabrics used are created exclusively for him by top mills and you might have noticed, texture like herringbone woven on quality fabric really stands out than a cheap single tone blazer. The coup de grace additional detail that completes the debonair look is the buttonhole- sign that a man not only cares about his appearance but the craftsmanship and care that go into projecting his good self to others. Here, the jackets from Monsieur Piccolo are half-lined for spring summer. 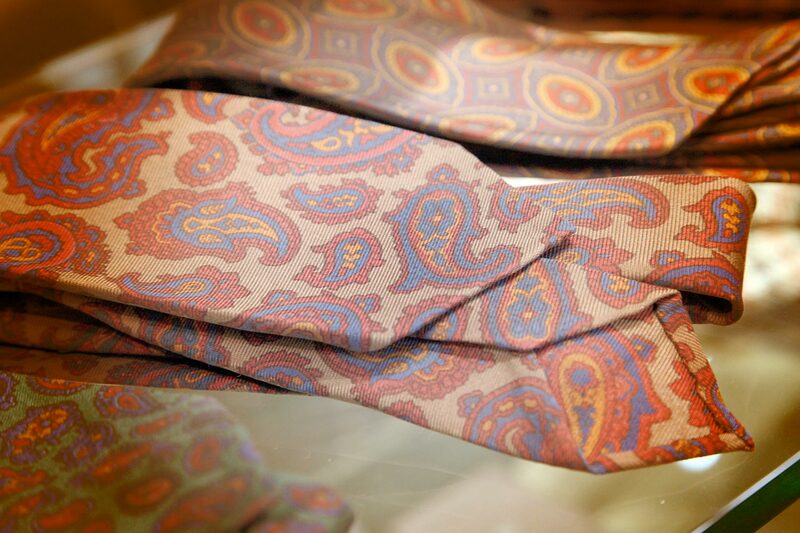 Paisley selvedged silk tie from Salvatore Piccolo SS13. A mainstay at Pitti Uomo, the hirsute master tailor has such an eye for detailing that many of the world’s top mills are more than happy to create selvedge silk fabric for him to use in his necktie collection- A Continuous Lean wrote an excellent story showcasing his ties unlined and unstructured. Amazing men’s suiting has been coming out from beyond The Row and one such house is Carolina Herrera. The Venezuelan her induction into the world of fashion early when grandma took the 13 year old to a couture show in Paris, from there, her eye for aesthetics was nourished. Beginning with womenswear, she presented her first capsule in New York 1981 with encouragement of Diana Vreeland, legendary Vogue Editor-in-Chief- needless to say, it was a success. Considered one of the best-dressed dames in the 80s, it’s rumoured to be the muse of artist and pop art iconoclast Andy Warhol. Her daughter currently serves as adviser for CH menswear collection of her namesake brand. 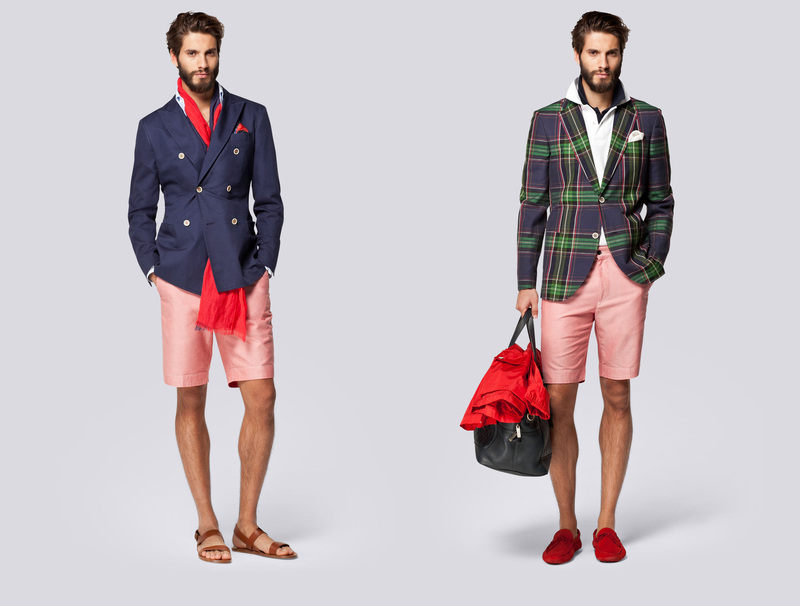 As CH Carolina Herrera SS13 menswear proves, you don’t need to be in a suit to look debonair. Being debonair is a projection of personal style. 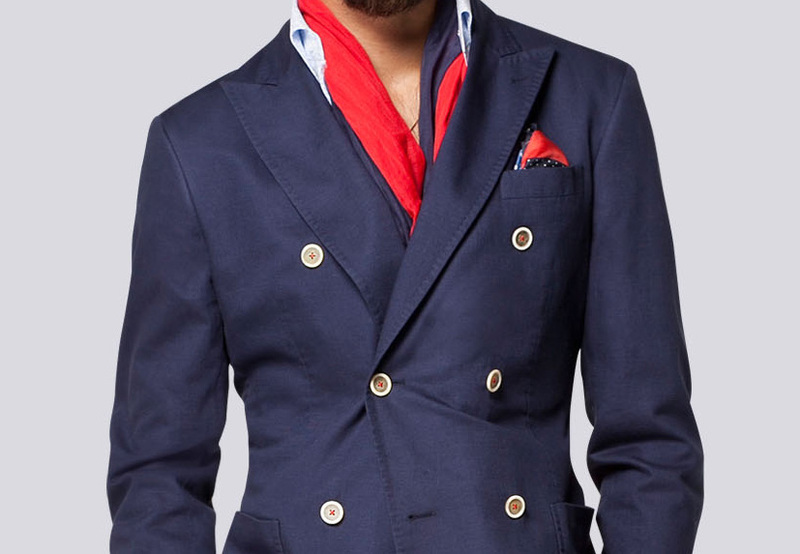 The red thread detailing on the cream horn buttons bring an otherwise typical navy double breasted blazer to life. Pay attention to the pick stitching on the lapels and the patch pockets. Although the details like pick stitching are incredibly subtle here, the subtlety of the accents as opposed to the navy blazer previously, sets the tone of dressing between serious debonair and playful. While it might be harder to wear the navy DB to a corporate office, this grey suit from Carolina Herrera fits in beautifully. Functional cuff buttons are a rarity in the ready-to-wear jacket but I take it as a sign that CH Caroline Herrera is confident of her tailored dimensions. 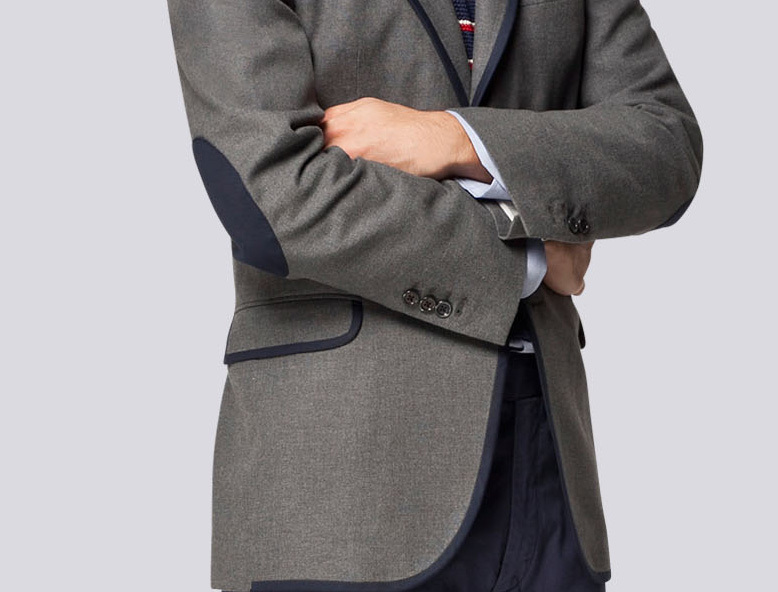 Additional details like contrast sleeve patch and piping make this blazer incredibly debonair. 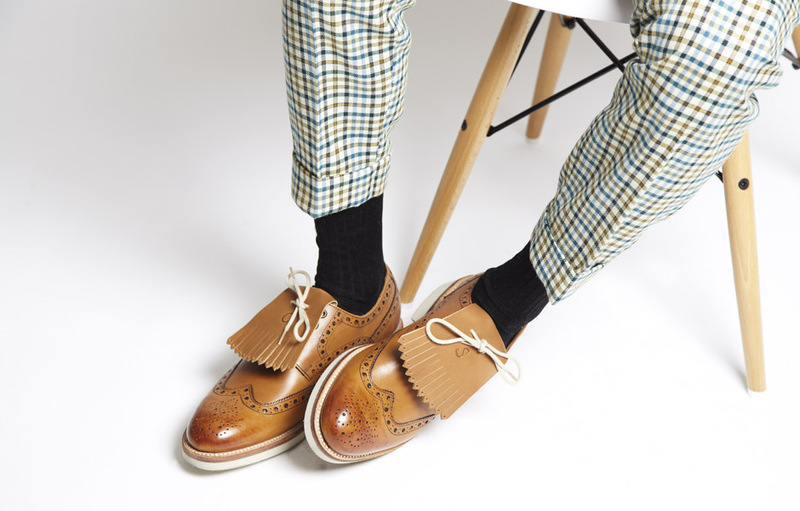 Oliver Sweeney Kilties in tan. Oliver Sweeney Kilties in lime. Oliver Sweeney Kilties in grey.